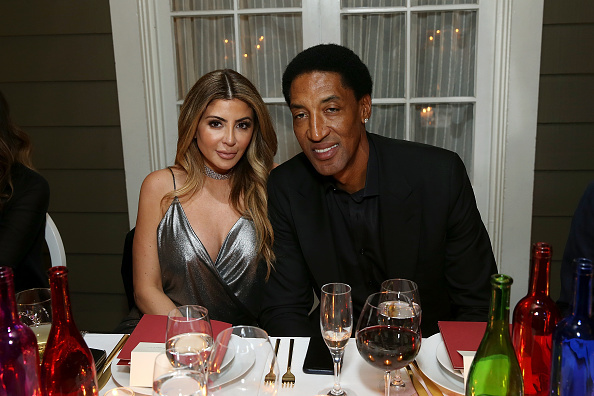 Scottie Pippen, a six-time NBA Champion and one of the 50 greatest basketball players to ever grace an NBA court, has become more known for what his wife did to him and how he reacted than what he ever did on the court during his prime. Larsa Pippen openly posted photos of herself with rapper Future at his crib, basically letting the world know that she was cheating on Scottie and did not care what people thought. That brief relationship ended and Larsa came back home to Scottie, who would then buy her a $4 million comeback ring on Valentine’s Day back in 2017. “Despite his efforts, Larsa would still file for divorce this week in L.A. County Superior Court to end their marriage, according to TMZ Sports. “Sources connected to the couple tell us, there’s no scandal this time around. The 2 have just grown apart over the last few years and decided to end their relationship. They’re still committed to co-parenting their kids, but they don’t want to be married anymore. According to the court docs, Larsa lists the date of separation as October 29. She’s also asking for joint legal and physical custody of their 4 minor children. On Tuesday, Larsa got tired of the rumors about why they were getting divorced, so she posted on Instagram and essentially blamed Scottie for making her feel lonely as to why the marriage didn’t work.